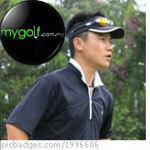 Malaysia Golfing Community :: View topic - Welcome Titleist to MyGolf.com.my! We are proud to have Titleist on board as 'Friends of MyGolf.com.my'. They will also actively organising activities for members (subject to their marketing campaign). Please take note that Titleist has the right to edit or delete without prior notice if the posting deems not fit. Once again, please join me in welcoming Titleist on board! yah man. big welcome. looking to stock up on the wedges. A fan of titleist clubs. using the old 983k driver until now. anyways welcome Titleist! welcome to the most popular golfing community on the planet! How should we address you? Mr. Titleist ? All BIG names are welcome to the Mygolf.com community..welcome welcome welcome.. So when is the big discount for Titleist balls.. Hybrid - Fourteen 4 HI610h T.S. Great to see Titleist's participation in Malaysia golf forum. Already they're doing such a good job in another Singapore forum. Kudos and keep up the good job. present...proud to be a titleist..